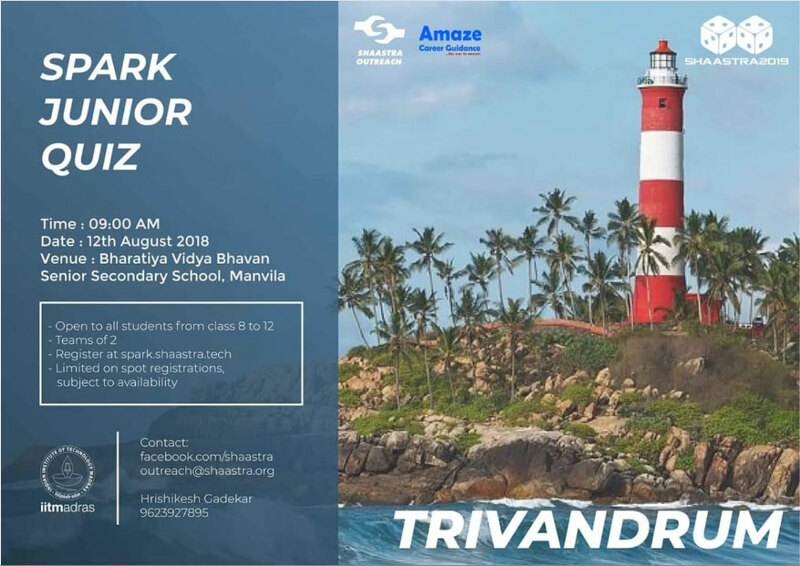 SHAASTRA 2019, IIT Madras is proud to present its flagship event for school students – SPARK – which is a three-tier mega event, with the first phase being the SPARK Prelims, which is a national level quiz competition held in 20 cities across the country. Certificate of Appreciation and Prizes will be awarded to the Top 3 teams. The winners stand a chance to travel all the way to IIT Madras free of cost to compete in the national finals and experience what SHAASTRA has to offer. Top 5 teams from each city will qualify for the national screening round.